In Frank Waugh’s view, the landscape architect is first and foremost an artist capable of seeing, feeling, and understanding the beauties of the landscape, and capable too of interpreting these beauties to others. Today the professional landscape designer can go mobile in explaining his work to clients with a top professional landscape solution for the iPad. This landscape app allows users to visualize, and then create a design from scratch on the iPad using a photo taken with the tablet’s camera. 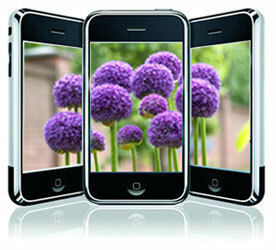 The PRO Landscape Companion app, designed by Drafix Software, the leader in professional landscaping software. PRO Landscape Companion is the first iPad landscape design app created specifically for professional landscape architects, designers and contractors, providing additional advantages over competitors. This state of the art landscape app works in conjunction with Drafix Software’s PRO Landscape. There are numerous types of outdoor landscaping designs—from residences to parks, to commercial developments to schools. It is the mission of the landscape contractor, designer or architect to guide the customer’s modification of the landscape so that he may achieve the greatest possible esthetic satisfaction of the outdoor space. This landscape app allows users to visualize, and then create a design from scratch on the iPad using a photo taken with the tablet’s camera. 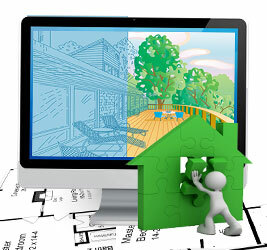 Users then have the option to transfer the outdoor landscape designs to a computer and finish it in the “PRO Landscape”. On the other hand, if the design has been started in the landscape software it can then be transferred to the iPad to show a visual design to a customer, and make expert changes on the fly. “PRO Landscape Companion” gives professional landscape designers yet another way to design faster, close more sales, and improve their ability to compete in this tough market. Landscape architects, contractors, designers, and garden centers now employ this mobile solution as the “PRO Landscape Companion” landscape design application is one of the first with a productive answer for their needs. 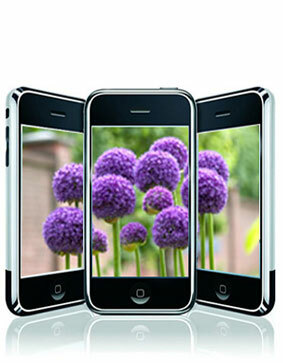 Create expansive or small landscaping designs using pictures taken from the Apple tablet while on location. Some professionals start with the “PRO Landscape” software on the computer and switch to thelandscape app for iPad. Next add plants, hardscapes, mulch, grass, and more to your project. Pro Landscape Companion app will let users show their customers complete proposals, 3D movies, and other landscape design options created with “PRO Landscape” giving great flexibility to use this exciting new technology as an interactive display tool. A successful landscape architect has a love of nature, horticultural knowledge, and an ecological approach to landscape design. In the 21st century, there are new age designers. In producing an outdoor architectural plan, this professional proceeds beyond his knowledge of plants and the different effects that can be secured with their placement with the help of 3D visual tools. 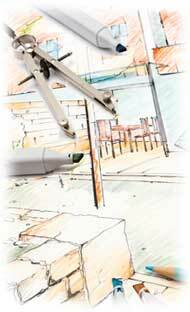 A landscape app for iPad helps to provide a visual proposal for the client on-site. “PRO Landscape Companion” for iPad is free from the App Store on iPad or at www.itunes.com. The landscape app is not a stand-alone product; it can only be used in conjunction with the “Pro Landscape” software program. The app will be available on other tablets in the near future.